Downtown Saratoga's go-to Mexican spot offers up a tequila-tinged cocktail, sure to add some zing to the new year. 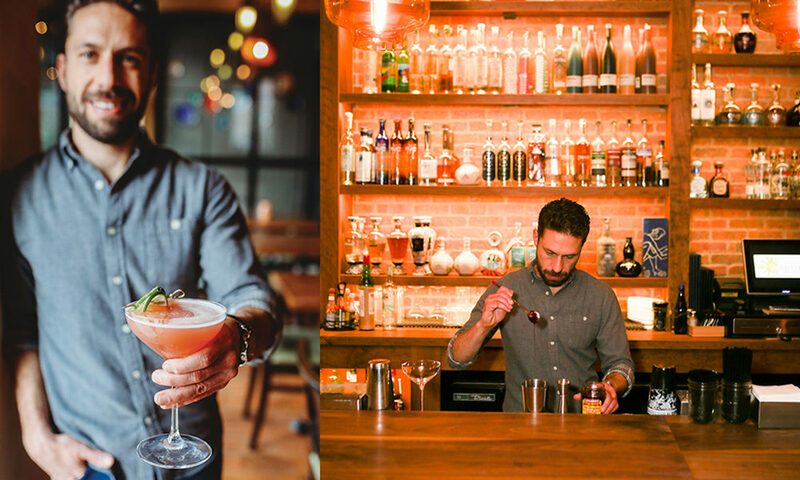 For our first issue of 2019—the “I Do!” Issue—saratoga living tracked down the bartender at one of our favorite local watering holes, Cantina, to provide us with their “Next Great Saratoga Cocktail” entry. This one joins 15 Church’s The Saratoga Rose, Max London’s The Saratoga, 9 Maple Avenue’s Saratoga Rye Buck, Siro’s Ginger Mint Mojito and other great entries from Harvey’s Restaurant & Bar, Sinclair Saratoga, Morrissey’s At The Adelphi and Hamlet & Ghost. Behold, The Double Down. With mezcal and tequila having such a hot year last year and poised to continue their streak into 2019, I wanted to create a cocktail that was both a hat-tip to the future of the liquor industry and an homage to Saratoga Springs’ (gambling) past and present. Hence, the cocktail including both tequila and mezcal—and the gambling reference in its name. (Plus, Cantina’s bar is all about agave!) The result is a subtly smoky, sweet, tart and refreshing cocktail. Add all ingredients to a cocktail shaker, add ice and shake vigorously. Double strain into a chilled coupe glass. Garnish with lime wheel and Maraschino cherry.